our seasonal menus will fit your needs while providing you with farmer-forward, locally-sourced food. 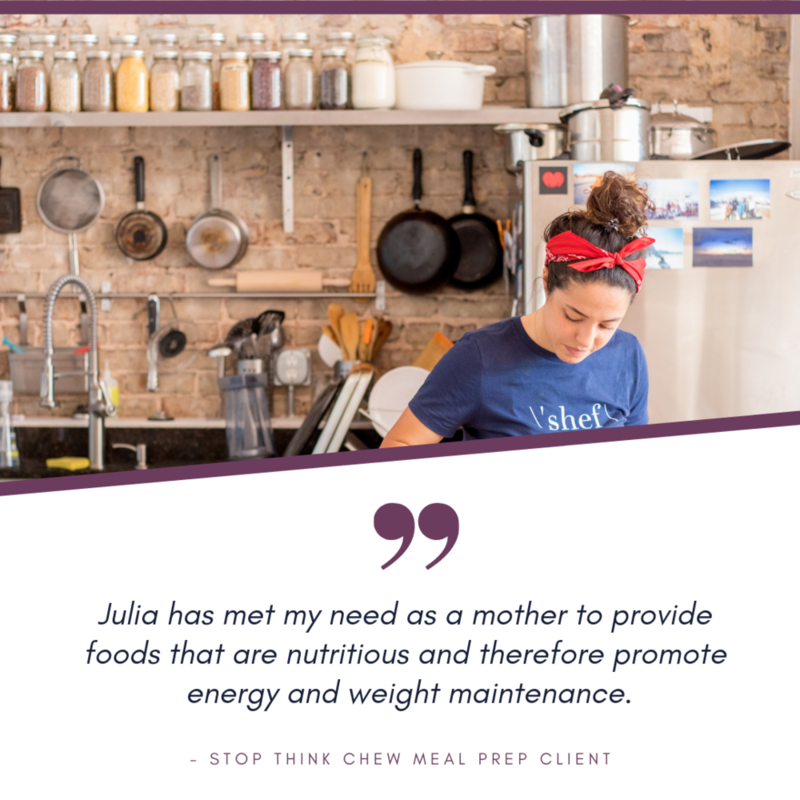 meal prep drop off-only starts at $15/meal + groceries. for full in home personal chef services, please contact us to discuss pricing. new clients commit to two weeks or a package to bundle & save. sign up to start receiving weekly menus. 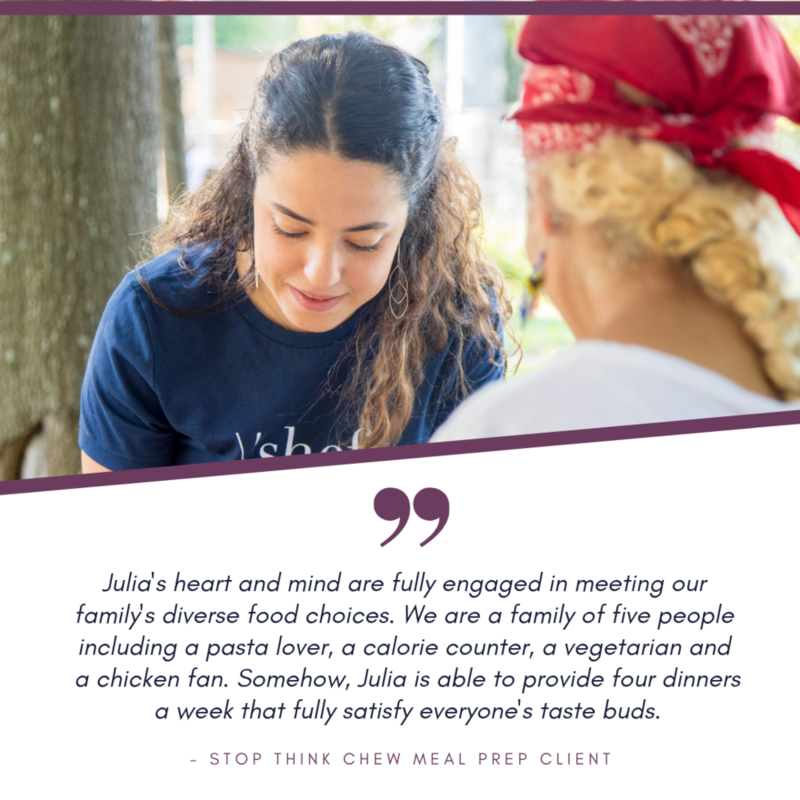 Stop Think Chew offers a variety of other services focused on bringing delicious, farmer-forward food to you.